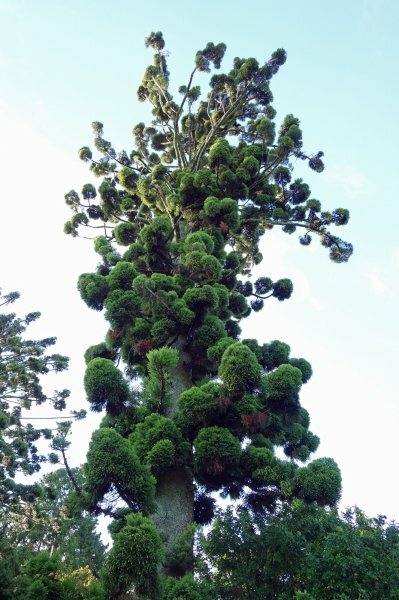 Number 42 in Burstall and Sale's Great Trees of New Zealand, this is the tallest of three hoop pines located on the northern boundary of Tauranga Boys College and the tree that was considered to the 'the best in New Zealand' in that 1984 publication. Many of Tauranga City Council's notable trees are at the school, most planted at the property when it was known as "Hillsdene". The hoop pine is thought to have been planted around 1890. 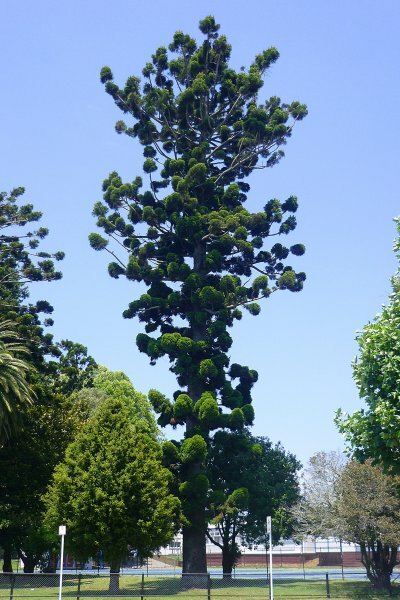 The tallest hoop pine in New Zealand also grows in Tauranga, at Yatton park, a few kilometres to the south (see BPR/1369). Disorderly, tufted branching, unlikely other hoop pines, which appear more orderly. 02 Jun 2001 Kenny, P.
30 Nov 1972 Burstall, S.W. In a small reserve on the corner of Cameron Road and 13th Avenue.